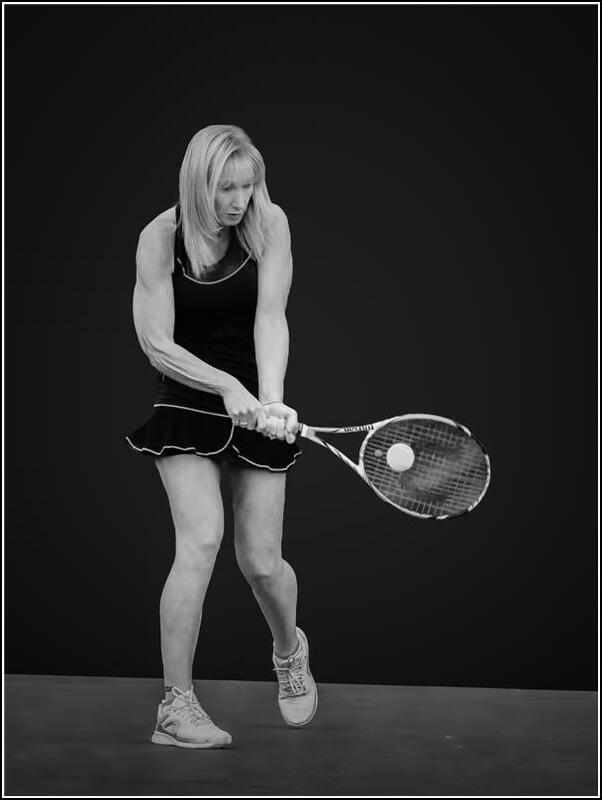 Michal is a tennis professional at the Richmond Hill Country Club. She has been playing and coaching since the age of 13. She ranked 17th in Canada in Women’s Tennis Under 16 and was the #1 ranked tennis player at York University Ages 19-23. Michal is a very accomplished coach with over 30 years of experience, having coached Wimbledon Finalist Tennis Sensation Milos Raonic as a child. I began playing soccer at the age of 6 and was always very active as a child and teenager. My true athletic calling came at the age of 13 when I started playing and coaching Tennis. What adversity have you had to overcome as athlete? I have had to overcome a wide variety of injuries. To name just a few: torn cartilage in my left wrist, rotator cuff, back injuries and a nerve taken out of my right foot. Perhaps even bigger than my injuries was the prejudice I had to conquer as a female coach. How has working out impacted your life?Working out “just makes you feel better.” It also allows me to keep up with athletic children. Both my boys were very athletic and played hockey and lacrosse at a high level. I also have a very athletic husband and this allowed us develop a stronger bond because we are athletic and enjoy working out together. How often do you train and for how long? I workout every day. My typical work out is 90 minutes, a combination of cardio on the elliptical and weights. I’m also on the courts 6 hours a day 5 days a week. What is your number #1 fitness tip? Lorne’s Take – I’ve known Michal for over 30 years. We went to Junior High at Zion Heights which ironically enough was just minutes away from where Michal’s 34 year Tennis career began at the Cummer Tennis Court. I get tired just looking at her workout schedule but it is obviously working for her. Having coached Milos Raonic is a nice thing to have on your resume as well. That is a lot of working out. Very impressive.